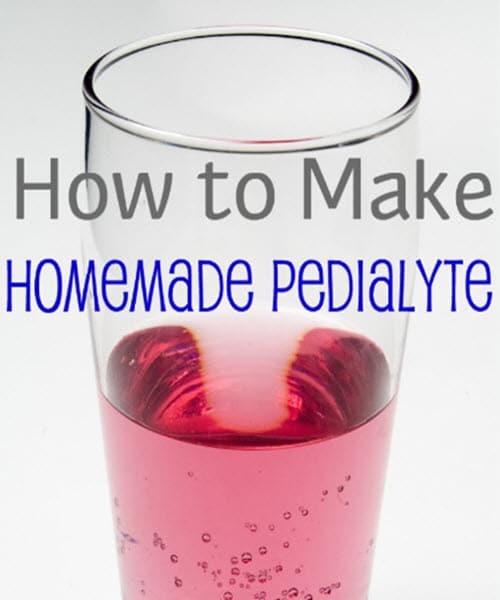 Pedialyte is useful when the kids get upset tummies because it replenishes important electrolytes. Electrolytes help our cells absorb and retain fluid, which is good…see how it all ties in here? But, many folks complain that Pedialyte doesn’t taste good and that it’s expensive. Check out this homemade recipe to save money and get your kids to actually drink it!